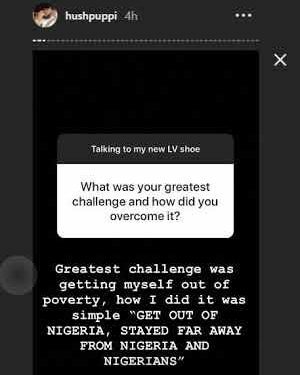 Popular, Flamboyant Nigerian, Hushpuppi who is best known for his luxurious lifestyle, recently reacted to a question on his greatest challenge and how he over came it. 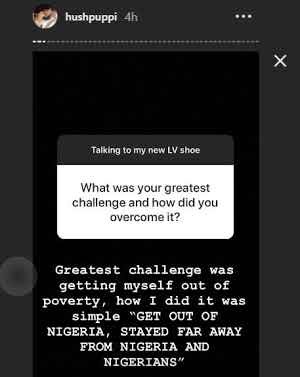 “How I did it was simple, I got out of Nigeria and stayed far away from Nigeria and Nigerians”. 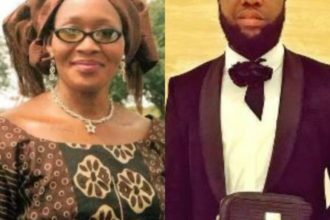 Hushpuppi’s real name is Raymond Igbalodely and he is a Malaysian-based philanthropist, also referred to as Aja 4.It is difficult to accurately calculate the net worth of this man. But his usage of such expensive cars as Rolls Royce and Range Rover suggests that he is able to afford the best. 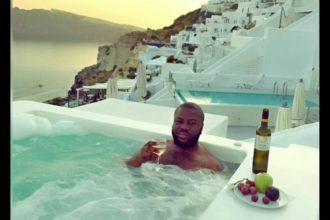 He also travels on a private plane, and it’s not a secret that he buys the most expensive drinks (worth up to millions of Naira) in clubs.